Each company is unique so each website should be designed to reflect that. Every site we build is responsive and SEO freindly. Two must haves in design today. Our decades of experience helps us to prevent pitfalls our clients might run into with their site. Our experience helps avoid costly mistakes. We provide value! Hosting services include 1 hour of text changes to existing pages as well as security updates, patches & backups. Perfect for those pages that change regularly. We pride ourselves on doing things the right way. Our customers are important to us and they are treated as such. Without them we do not exist. The company Pegasus Web Productions was started by Jim and Stephanie Hedgepath as a DBA in 1992 of Pegasus Originals, Inc., a publishing/manufacturing company founded in 1977. Pegasus Web Productions, LLC was created in 2006 by Patrick and Karen Hedgepath. Together, Pegasus Originals, Inc. and Pegasus Web Productions, LLC are two family businesses, owned and operated by the Hedgepath family, with it’s corporate headquarters located in Lexington, SC. Pegasus Web Productions, LLC was a direct result of the decision to put the entire Pegasus Originals, Inc. catalog online for promotional purposes. The original webmaster, Jim Hedgepath, is Pegasus Originals, Inc. President and had the vision to place the company on the Internet as one of the first companies in its industry on the Internet way back in 1992. Two national magazines recognized the web site as the best in the industry. The Net magazine also gave its highest marks for design, content and visual appeal. Other companies in the same industry began asking us to help them build a web presence. This began a booming Internet design company which now designs and hosts sites for International companies based all over the US. 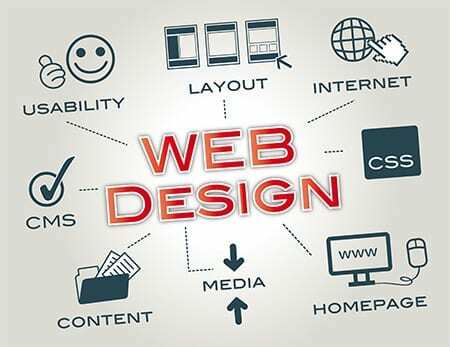 Let us put 27+ years of website design experience to work for you. Pegasus Web Productions, LLC prides itself on making quality web sites for any type and size of company. We specialize in helping companies put forth a professional Internet presence and grow that into a vital business tool. Our courteous staff enjoys helping to empower companies to use the tools of the trade and to make their online presence something we can both be proud of. If your company is not successful then we are not successful.